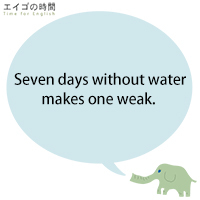 Seven days (without water) make one WEEK. Seven days without water make one WEAK. Next Post どちらかといえば犬派 – I’m more of a dog person.